It is stretched to exterior surface of buildings in construction. Minimalizes the environmental pollution by preventing the escape of dust and scums. Provides air circulation because of its texture and also it creates a quite comfortable operating environment. Protects employees from bad weather conditions and sun. It is durable to laceration when implementation conditions are provided. 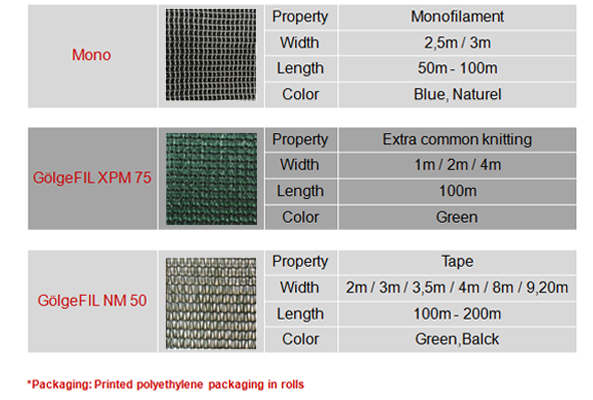 There is a monofilament product options.